The crunch of the crisp, orange leaves under my feet. The thick, frosted air that wisps my face, attacking the tip of my nose. The warmth of sweet pumpkin soup filling the kitchen. These are the signs of dying days, of long sunlit hours, clear mornings and bike riders on the streets and the beginnings of footpaths lined with communing umbrellas, the smell of rain and damp, dark evenings at home. 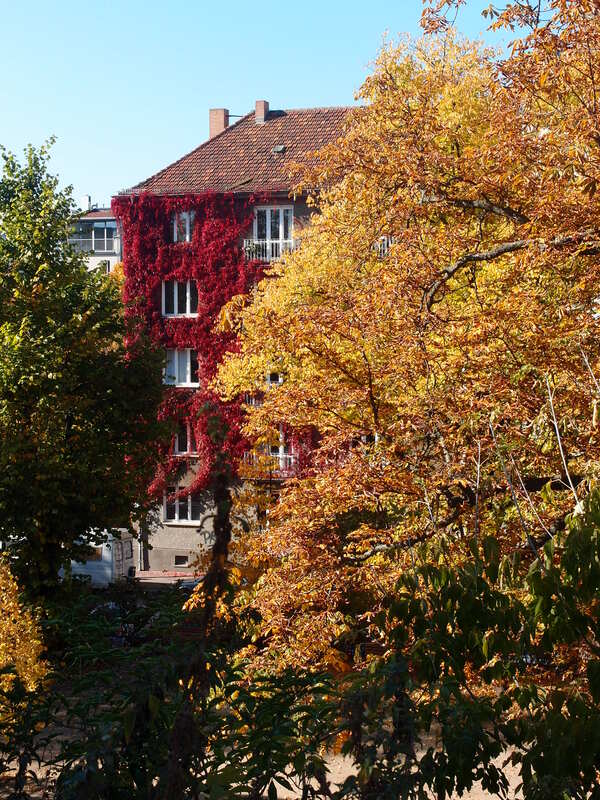 The changing colours of Prenzlauer Berg in October. 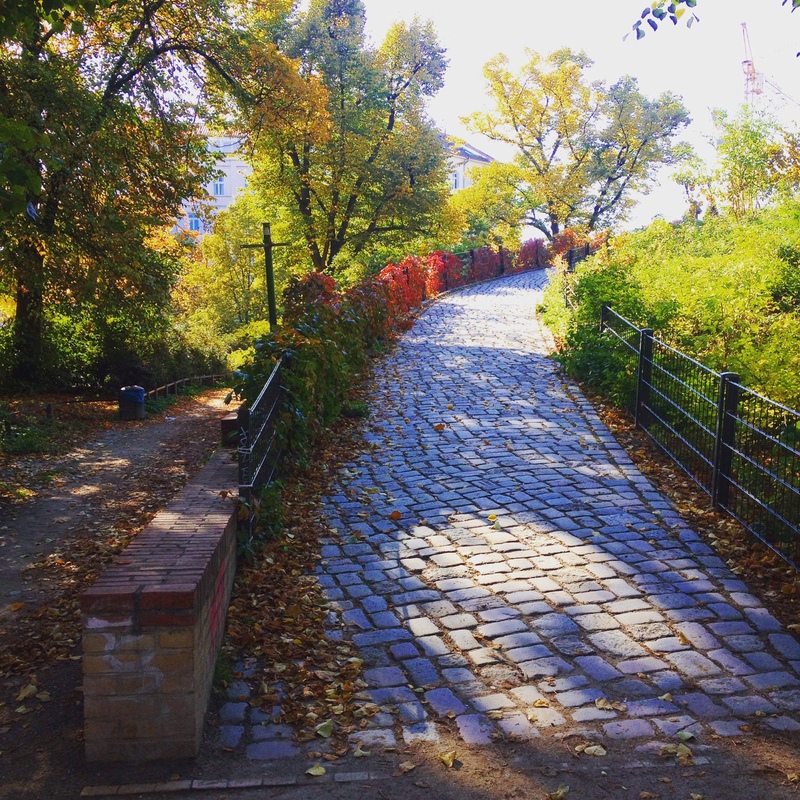 Having grown up in a country that goes from the depths of 10-degree winters straight into the scorching heat of summer, facing an actual autumn is a stimulation of the senses. 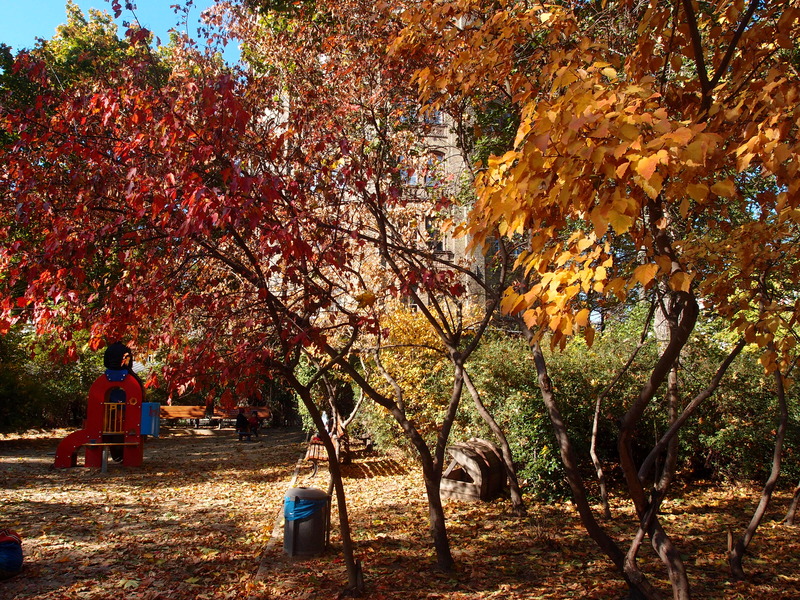 As the tress shed their summer skin for a winter coat, yellow, orange, crimson and red is splashed across the city igniting a fire despite the cold, brisk air that reminds us winter is coming. 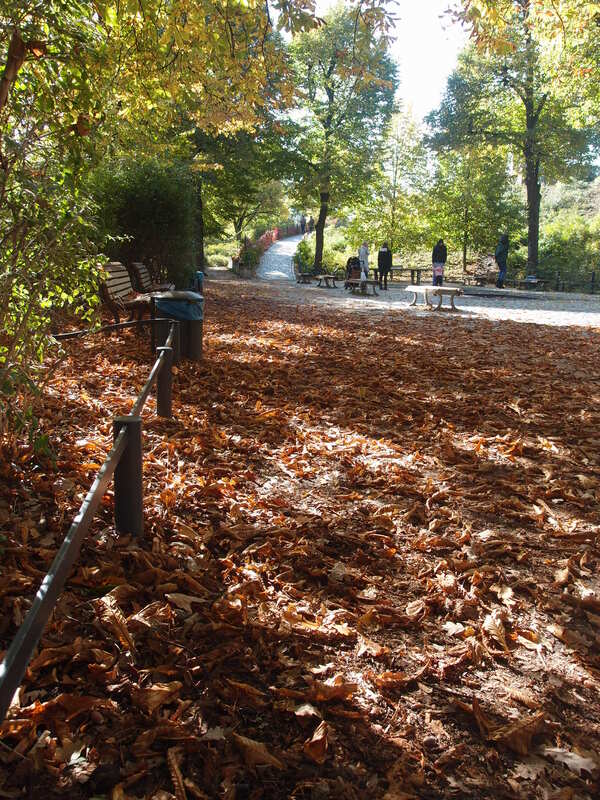 Berlin under the cover of leaves and dusk is a beautiful place, overshadowed by lush green summers and stark white winter but is something not to be missed. 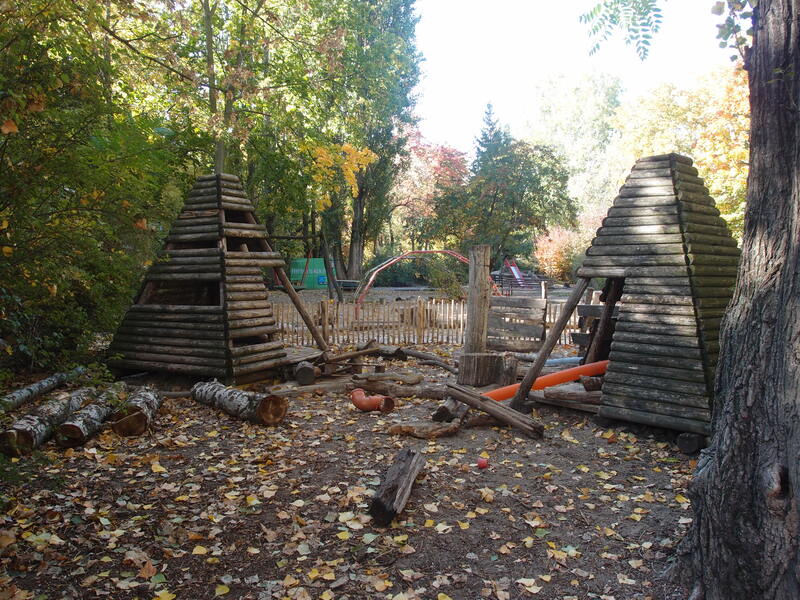 A children’s playground on a chilly autumn day. 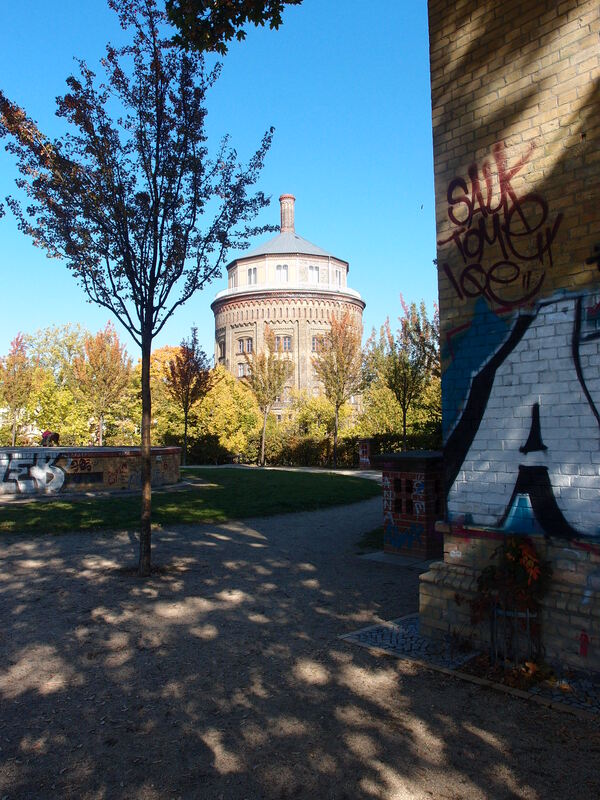 The wasserturm in Prenzlauer Berg. The crunch of leaves as they drop. 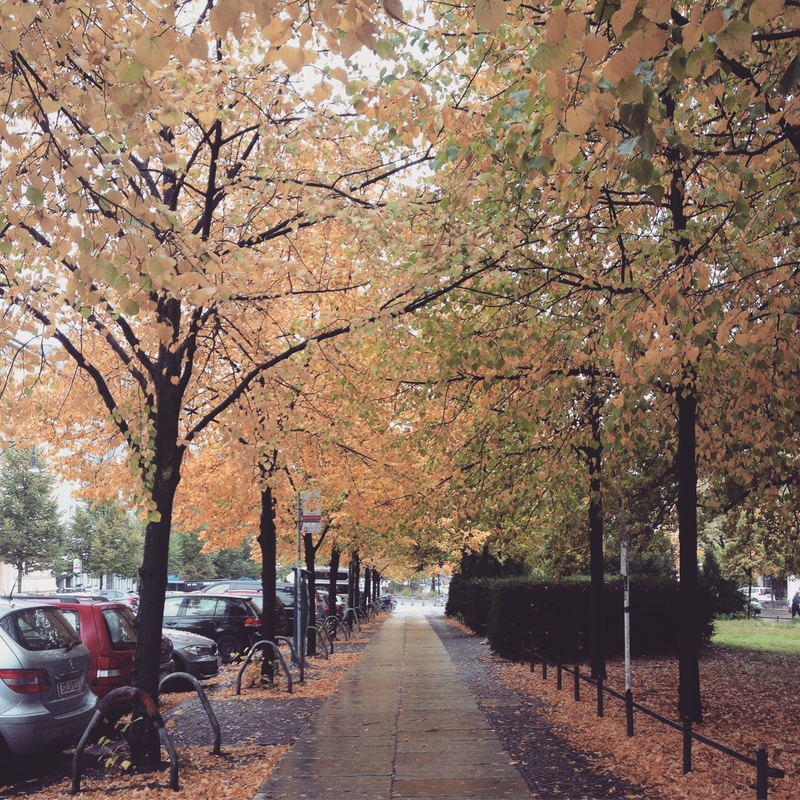 The streets of Mitte lined with orange trees. The colours of summer and winter blending together. 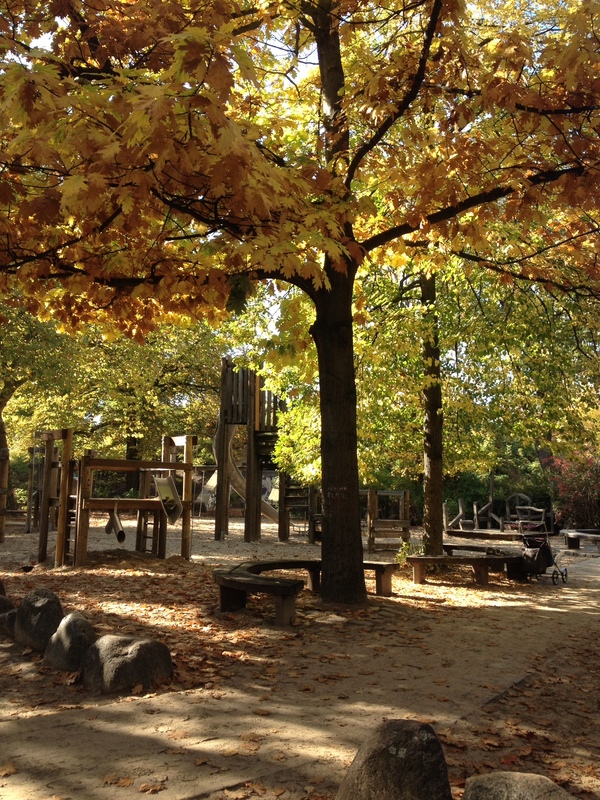 Autumn trees in the park.